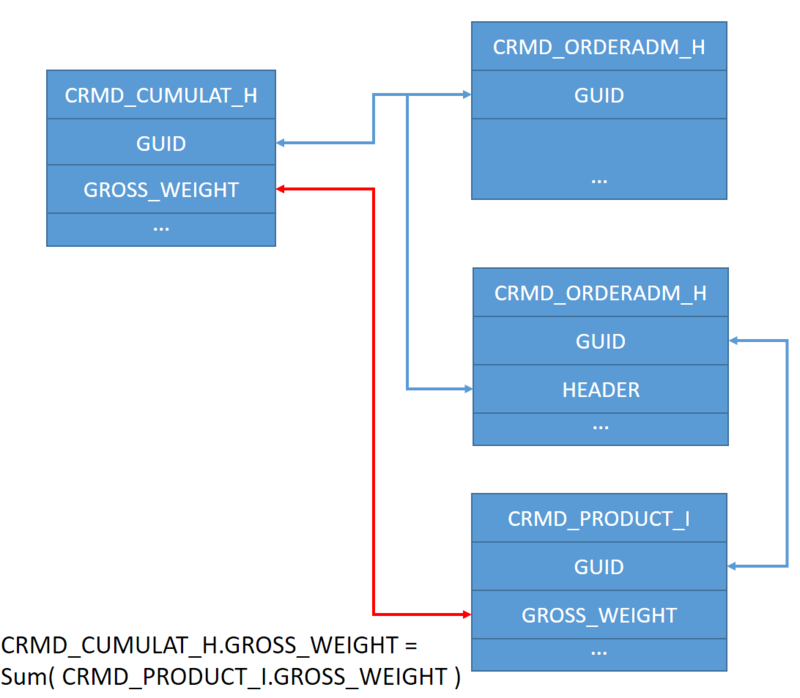 Recently I am working in a project and the prerequisite is to understand how table CRMD_CUMULAT_H works. As I could not find enough material in SCN, I make some self study on it and list my learning in this blog. Let me use one record for example to illustrate how its GROSS WEIGHT 400 KG is determined. lt_product_i TYPE TABLE OF crmd_product_i. FOR ALL ENTRIES IN lt_order_i WHERE guid = lt_order_i-table_line. LOOP AT lt_product_i ASSIGNING FIELD-SYMBOL(<product>). rv_gross_weight = rv_gross_weight + <product>-gross_weight. In order to better explain the calculation logic, I draw a picture below. 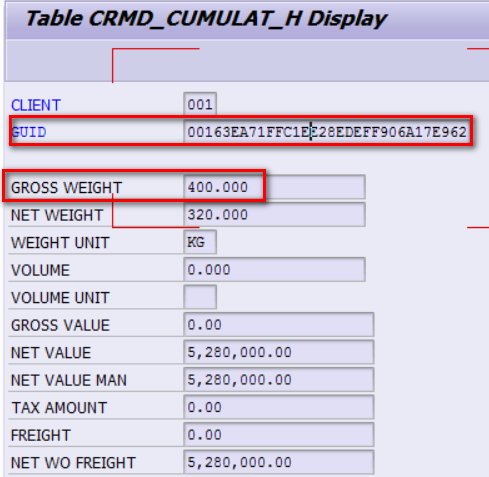 The next question is: how is the value of field GROSS_WEIGHT in table CRMD_PRODUCT_I populated? When we log on WebClient UI, we can only see the quantity 4 ST in each line item. Why 4 ST of product has gross weight 200 KG? Then query table COMM_PR_UNIT with this guid, and we can know from there that 1 ST = 50 KG, so 4 ST = 200 KG.